A friend and I visited El Charco del Ingenio, a large botanical garden just outside San Miguel de Allende. El Charco has a canyon, a large lake and a dam. 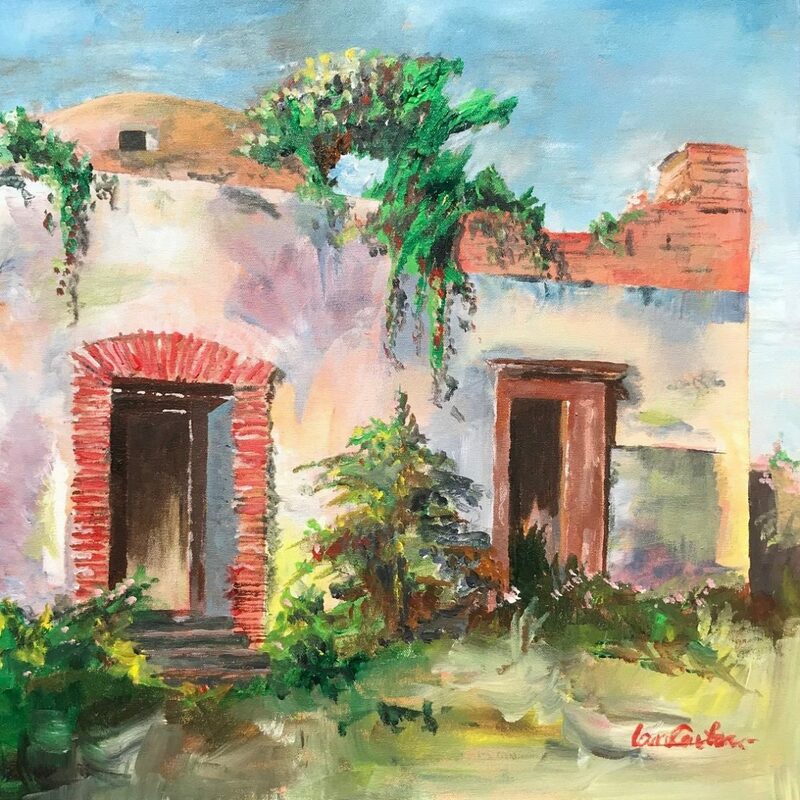 One of the scenes is this of a ruined hacienda which captured our attenion waiting to be painted. I painted a small watercolour en plein air before attempting this large acrylic. It was daunting because it is easier, at east for me, to mix the colours in watercolour and allow the medium to help. The walls are full of all kinds of colour which is evident from the painting. Feedback for "Ruinas de la Hacienda"
Purchase Inquiry "Ruinas de la Hacienda"